“As confrontational actions of security forces against our Baha’i compatriots need to be meditated upon, I, with utmost humility, have penned a piece from the Baha’i book “Hidden Words” in the form of calligraphy. This move may raise the conscience of my fellow countrymen by considering increasing their respect for human dignity and not focusing their attention on different ethnicities, languages and religions. 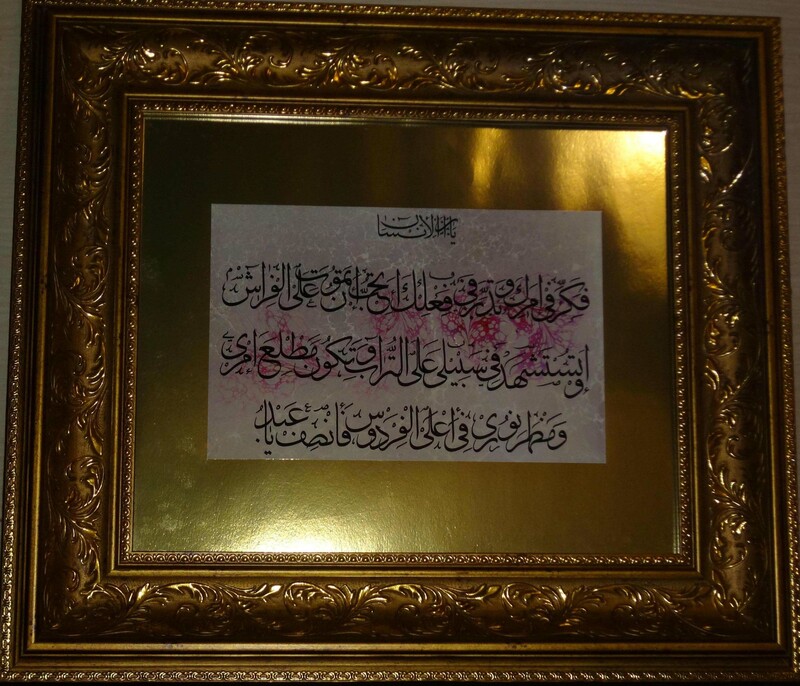 This piece of calligraphy is offered to Sahba Farnoush, Navid Aqdasi, Parviz Nikaeen, Keyvan Nikaeen, Arshia Rouhani, Mateen Janamian, Zareen Aqabani, Yeganeh Agahi, Negar Bagheri, Nava Majzoob, Yavar Haghighat, Helia Moshtaq, Naghmeh Zabihian, Franeh Daneshgari, Sanaz Eshanqi, Nika Pakzadan and Sharan Tamrie Najaf, who have recently been arrested and have no legal protection. I emphatically and seriously demand that the authorities stop these atrocities. 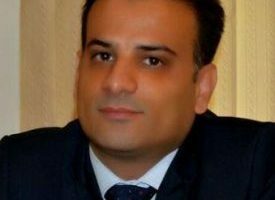 Why is Iran’s Regime Afraid of a Baha’i Calendar? Baha’is honor Mohammad and their precious country of origin and want to be law abiding citizens. They respect all Faiths as different paths to the same God. They promote peace on earth that is so needed to stop the hurt and killing of their beloved sisters and brothers in all the earth. 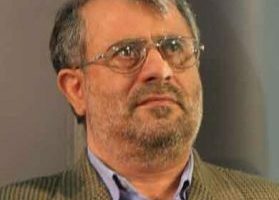 Thank you Ayatollah Masoumi Tehrani for your brave stand against abuse of minorities in Iran. Hopefully more Iranians will arise to your call and stop turning a blind eye to the centuries of abuses heaped upon minorities in that ancient land. Thank you! Your gift is to your country as well! Thank you. I respect your bravery.